Liz is well known at St Neots as a skilled and witty wordsmith writing much of her material. She accompanies herself on guitar. In 1999 she featured on the Playpen album of new acoustic music alongside Eliza Carthy, Billy Bragg, Eddi Reader and Kathryn Williams. Since then she has trodden an independent path, gaining a growing reputation as a great performer and songwriter. Not seen solo since 2016 at St Neots so do not miss this chance. 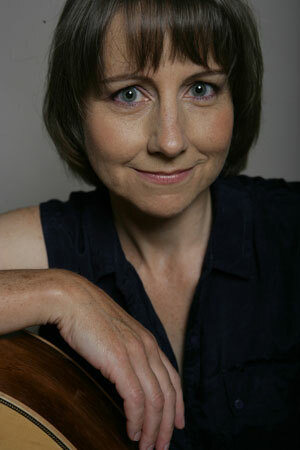 Stanley has written hundreds of songs in a range of styles on a vast rake of subjects. There are old-style songs on current happenings and modern style songs on ancient events. There are poems, pastiches, parodies, and possibly anything. Apart from the silly and very silly material, Stanley has always been writing serious songs to confuse the situation further. He has performed hundreds of times at a wide range of events all over UK and occasionally beyond. Friendly singaround atmosphere, performers and audience very welcome. Come along and strut your stuff or enjoy others doing just that! 16th April - The Moon and You Are unable to appear due to family circumstances so the tour has been cancelled. 7th 8th & 9th JUNE 2019 - Tickets now available! Full details on Festival page NB: ticket special offer before May 31st! Bram is a good friend of St Neots Club having performed here over many years. He is an entertaining artist with a distinctive voice and relaxed stage presence who gives an evening "Taylored" to suit his audience. 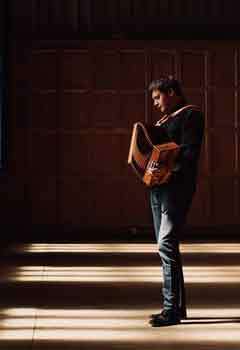 Bram calls on a large repertoire of traditional songs, together with contemporary and humorous material, performed on acoustic guitar, duet concertina, or unaccompanied. 17th December - Christmas Party night! Seasonal music and songs with delicious refreshments and charity raffle! Frank is a story teller, songwriter, singer and guitarist. In that order. 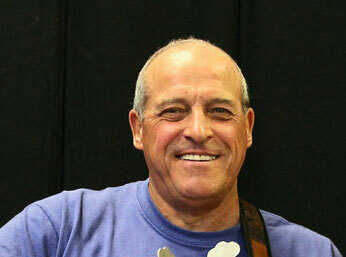 He has been performing for the last 15 years throughout the UK, New Zealand and Australia and his entertaining, rambling anecdotes aim to give the audience more of a connection with his songs. A folk songwriter at his core, American roots music with hints of jazz, blues and swing very much shape his music. When he relocated to Wellington from Edinburgh with his partner and backing vocalist Kara Filbey, he formed an incredible string band, with blues and country mandolin player Cameron Burnell and jazz double bassist James Geluk. The Frank Burkitt Band have made incredible progress in the last 4 years, releasing their debut album Fools & Kings in 2015 and becoming a festival favourite throughout New Zealand. They have embarked on extensive national tours of New Zealand and Australia and released their second album Raconteur in March 2018 at Port Fairy Folk Festival (Aus). Inspired by artists such as Van Morrison, James Taylor, Tim O'Brien and Pokey LaFarge, they play high energy, original music written by Burkitt and arranged by the band. From Wanlockhead in Dumfries and Galloway Dave describes himself as a left-handed, balding, middle-aged song writing folky from Scotland’s highest village. Lyrically he is a storyteller and troubadour and determined to maintain the art of storytelling through song. Musically he draws on both traditional and contemporary sources, especially the finger picking styles as he is one of the more accomplished guitarists on the folk circuit. 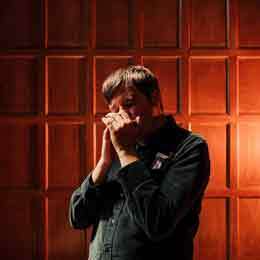 One of the finest harmonica players of his generation, he has pushed the boundaries working on a number of projects and with musicians which past and present include The Will Pound Band, Martin Simpson, Guy Chambers, Concerto Caledonia, Michelle Burke’s Step into my Parlour and The Hillsborough Charity Single. Keith Pearson, front man of the newly formed Keith Pearson Trio, first learned his craft during the classic Folk renaissance of the mid-60s. Throughout the 70s, he toured, and performed on radio as a solo singer/songwriter, both abroad and on the Folk circuit, as well as leading the original Treacle Line and the Right Hand Band. Not seen at St Neots for some years now - do not miss! 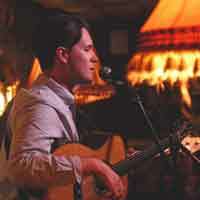 Luke is a Singer-Songwriter from Canterbury, who in 2013 was nominated in the BBC Radio 2 Folk Awards for both the Horizon Award for Best Emerging Talent and The Young Folk Category. He was also winner of Fatea’s “Male Artist of the Year 2014” and 2016. Luke is an ever present in the live music scene, gigging relentlessly all over, and he remains a prolific songwriter in demand across the United Kingdom and Europe. Luke has not been to our Club for some years and he really did impress us last time - this is not to be missed!!! 14th May - Open Stage - now fully booked! This is your chance to shine and be the guest! E mail- stneotsfolkclub@aol.com or ring 01234 376278 to book your spot (approx.20-25 mins) on a first come first served basis so don't leave it too late!!! Order of play is sorted on the night. Michael was born and raised in the rust-belt USA of Bruce Springsteen and Jerry Douglas and has been an active contributor to the acoustic folk scene on both sides of the Atlantic since the mid-1960's. In 2010 Michael, with Dan, formed Stone Junction and began working to develop the unique and beautiful multi-layered sound it showcases today. Although Dan says he’s a fan of the music from 90s and 00s, he also has an interest and a particular talent for putting a modern spin on more traditional folk/acoustic songs. Inspired by his late father who used to play folk music, Dan has developed a unique knack for unusual harmonies and the ability to re-interpret the elemental and diverse sounds of Celtic/Americana music. As a talented singer/song writer Dan has performed extensively as a soloist and with various support line-ups and has appeared in a variety of clubs, venues and festivals in Bristol, London and across the south east. 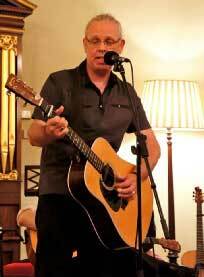 He has supported artists such as Mummra, Sarah McQuaid, Niamh Ni Charra and Pilgrims Way and in 2015 Fairport Convention were in the audience at one his gigs (at the hotel they were staying at after their own gig)…and they were particularly complementary on his singing. Musically, Will loves "anything with a groove" and has played and composed since the early 70s. He started with classical recorder aged 7 and picked up a guitar for the first time aged 10. Throughout the 70s & 80s, he played with bands Felix, Aircraft, Liane Carroll and his band Wide Open were winners at the Inner London Jazz Awards in 1977. He also played support for 'Lindisfarne', 'Argent', Wilko Johnson and other well known 70's bands. This trio has such a pedigree - not to be missed!! !